Have you ever had a psychic reading? If you have, it may have been by telephone, or online. 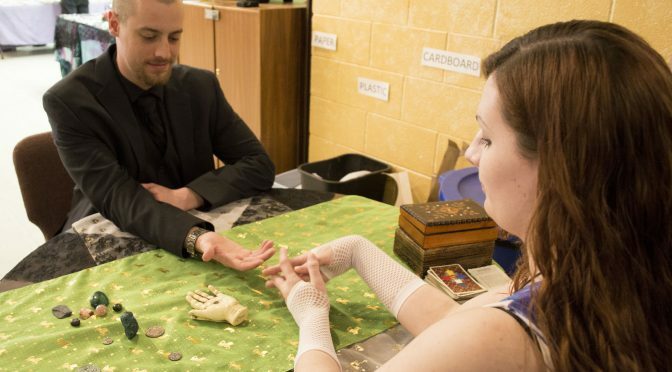 Maybe you met a psychic reader face-to-face, in a booth at a festival or carnival. Maybe you have a friend who claims to have a psychic ability. So you know the drill. 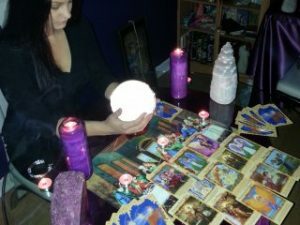 The psychic reader brings out a deck of tarot cards, or starts describing the color of your aura, or says that you’re being haunted, or that you’re an old soul, and so on. You may have left the reading feeling spooked or awkward. Or maybe you just dismissed it without another thought. You continue with your life pretty much the same way you were going before, not expecting the psychic’s predictions to come true, because it’s really all just intended to entertain people. It’s not really meant to guide you and help you plan for the future. Well, I’m not a psychic reader. I’m a psychic therapist. Do you know the difference? Most people don’t! The first question I’m usually asked people learn my job title is, “How is that different from being a psychic reader?” My answer is necessarily broad, because the differences are significant. Psychic therapists have many and varied roles. But in all of the roles, they strive to offer useful guidance to people. Psychic therapists are by turns counselors, spiritual coaches, and therapists, as they try to find ways to help people look to the future without dwelling on the past. Most psychic therapists have had some type of formalized training, or have studied psychology at the university level. The most significant aspect of my practice is spiritual coaching. I try to always help my clients find answers to their questions. I strive to help clients envision a clear view of their situations, and help them formulate a plan for moving forward. Clients report leaving therapy sessions with me feeling optimistic, with clear goals to work towards. A big difference between psychic therapists and psychic readers is that psychic therapists have done extensive research, written scholarly compositions, completed courses or aquired degrees that included a master’s thesis and a doctoral dissertation. In other words, psychic therapists have had formal education. I personally completed more than 6 years of post-high school education, through the completion of my Ph.D. program. During that process, I was enrolled at four different schools that had a wide variety of programs across the psychic spectrum. Psychic therapists know the industry, and have extensively studied a variety its aspects. Of course, there are still things they may not yet be aware of, because the field keeps growing and more thoughts and theories are being added all the time. At one point, I outlined over 375 different topics under the “psychic therapy” umbrella, including paranormal, metaphysical, spirituality, parapsychology and energy healing. That’s a lot of topics, many varying and sometimes conflicting schools of thought, countless techniques, and generally enough information to keep one busy for multiple years! As with almost any other skill, practice in psychic therapy makes perfect. Psychic therapists have skills that psychic readers have not taken the time to develop. This is closely related to what I just said about education. Psychic therapists have practiced their skills, and they know with a great deal of certainty where their gifts and talents lie. They know what they’re good at, and they are aware of how they can best use that to be of help to their clients. My strengths lie in the field remote channeling. This is a fairly rare gift. I’m able to read a person’s thoughts, and repeat them back verbatim. I’ve worked to hone my skills, and can empathetically combine them with healing and clairvoyance in sessions with my clients. Psychic therapists are sworn to uphold a code of ethics. We are certainly not entertainers. We believe in being there for clients. We are bound to serve the public in a way that upholds a high standard of practice that includes honesty, accuracy and kindness. Psychic therapists who have completed Ph.D. programs often belong to professional organizations, such as the Energy Medicine Professional Association. When it comes right down to the truth, most psychic readers have not pursued formal education related to their field. They have not worked to fully develop their skills. They don’t adhere to any ethical codes. And they don’t offer guidance regarding the future. I hope you’ve found this information to be helpful, and that the differences between psychic readers and psychic therapists should be abundantly clear to you.